This story originally appeared in the SCMP’s Post Magazine on May 10 as “Blazing Paddles”. A wave of vertigo washes over me as I look down. It’s not far to the bottom – a few metres at most – but I feel as though I am floating in the air. 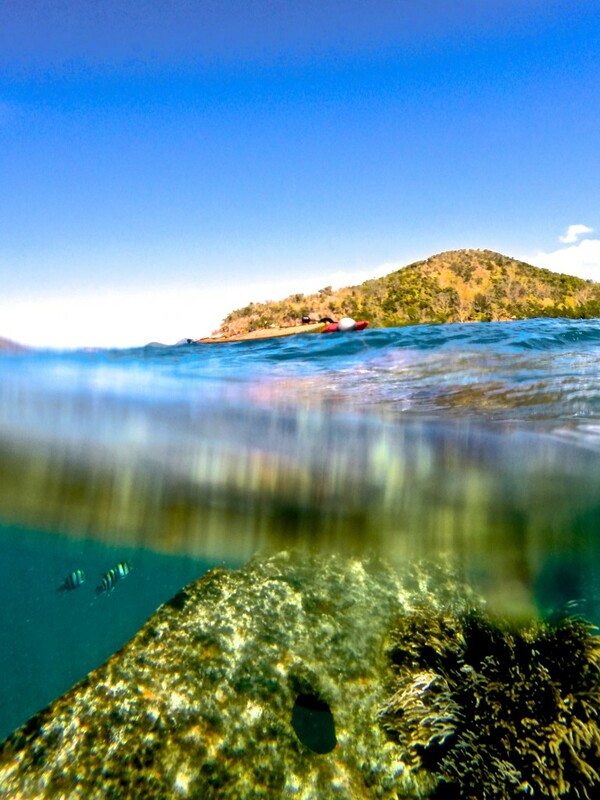 The water is so clear, it is invisible, the sunlight brightening the colours of the starfish and coral on the sea bed. Palawan is one of the most pristine and remote corners of the Philippines, and the country’s largest province by territory. 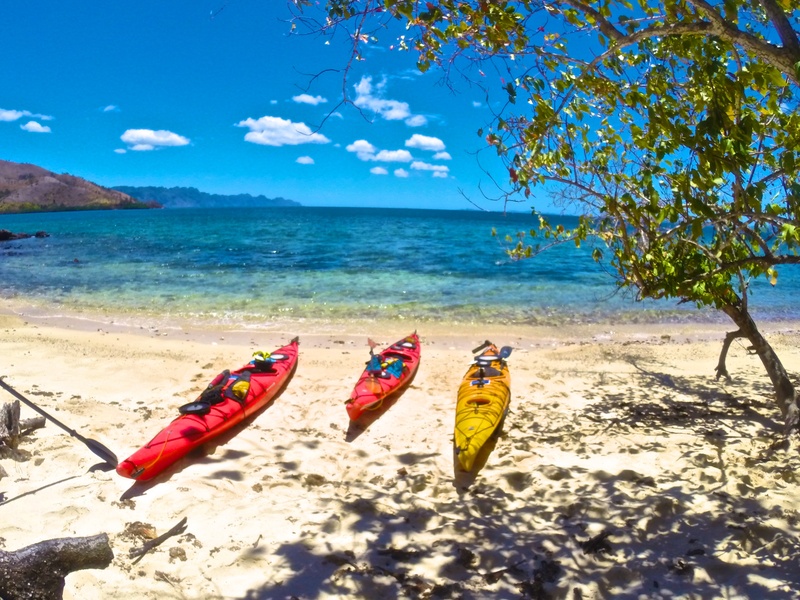 Three of us are on a week-long kayaking tour, slowly winding our way through the karst islets and immaculate beaches surrounding Busuanga Island, in the northernmost part of the province. Every paddle stroke brings into view another coral reef and another school of colourful fish flashing through the water beneath our hulls. The sky stretches achingly clear and blue overhead. 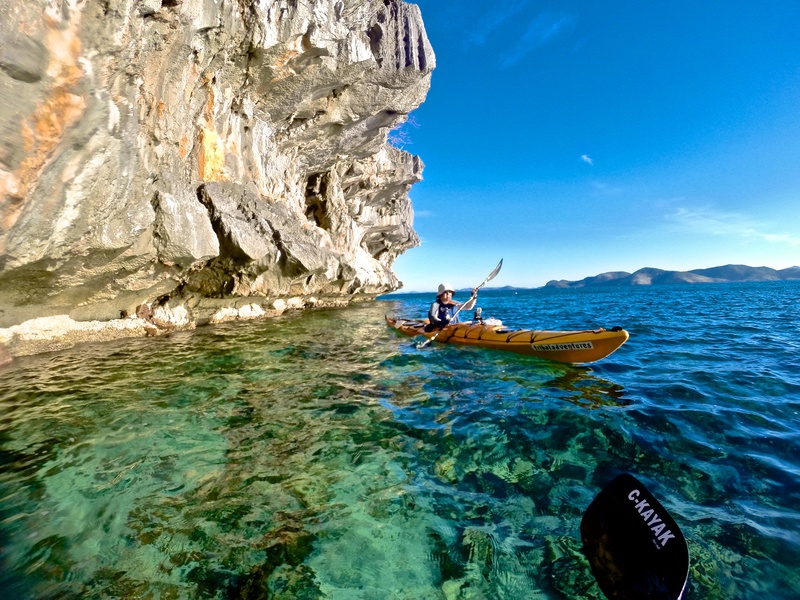 From the cockpit of a kayak, Palawan is all rocky coves, distant rounded mountains and jagged cliffs with sugary beaches at their base. It’s the end of the dry season, when the seas are relatively calm and the islands look parched. Other than a few fishing bankas – canoes with outriggers that come in a wide range of sizes – the only signs of human life are the occasional village and a few exclusive resorts huddled underneath palm trees on distant islands. The sun has set by the time we arrive at our first campsite. We coast onto the beach, hulls scraping noisily against the sand, disrupting the evening silence. A nearly full moon casts the beach in a white glow, the curving trunks of palm trees standing out in stark relief. From the kayak hatches come tents, cooking stoves, sleeping mats, bags of food and jugs of water. Many of the islands have no fresh water, so maintaining supplies is a constant concern. Tents are pitched and paddling gear hung up to dry. We cook an easy two-pot meal of pasta and vegetables, the air still so warm that working over the camp stove is uncomfortable. The fire we light on the beach is for cheer, and we sit well back from it in search of a cool breeze. Having awoken with the sun and after a quick breakfast, we’re back on the water, hoping to make the most of the cool morning air. We’re paddling north and, as we pass Lusong Island, one of our number lets out a shout. He is frantically back-paddling his kayak as he peers over the side. This region is littered with the wrecks of Japanese ships from the second world war, and we’ve just stumbled upon one. We tie our kayaks to a float bobbing on the surface, pull on masks and fins – stowed on the decks of our kayaks to explore reefs as we find them – and roll over the sides with a splash. The wreck is in shallow water and filled with colourful fish that swarm around us, flitting away when we make sudden movements. The ship lies on its side, an entry wound of torn and twisted metal still evident despite heavy coral growth. For lunch, we land on a shady beach on Marily Island. It’s a pattern we’ll repeat in the days to come – an early start, followed by several hours of hiding from the blazing sun before we paddle on into the early evening. Many of the beaches and islands are inhabited only by caretakers, some with their families, who hold possession of the land for faraway owners. Some of them charge a few hundred pesos for camping privileges; others don’t even bother us to say hello. We’re paddling sea-worthy kayaks, wearing personal floatation vests and special clothes to protect us from the sun. Our boats are filled with emergency satellite beacons, water filters and first-aid kits. We’re navigating by GPS and monitoring the weather on smartphones. The caretaker and his wife sleep in a house made of palm fronds and bamboo, and live a subsistence life. The assessment of risk is very subjective. I have badgered every passing fisherman to sell me some of their catch, hoping for a beach barbecue, and I tell the caretaker about my fruitless search. He grins, jumps into his banka and paddles 100 metres off the beach. He dives into the water – once, twice – and returns with four fish. I pressure him to take a few pesos and he finally relents, tucking the money into his waistband without looking at it. Then he climbs a tree, drops us three fresh, young coconuts filled with sweet, cool water, and goes off to fetch a bottle of wild honey that he has harvested in the hills behind his home. We offer him a bar of chocolate in exchange, thanking him for the food as well as the lesson in generosity. Several days into the journey the clear blue sky begins to show puffy white clouds and an ominous darkening far in the north. Super Typhoon Maysak has been slowly spinning its way towards the Philippines. 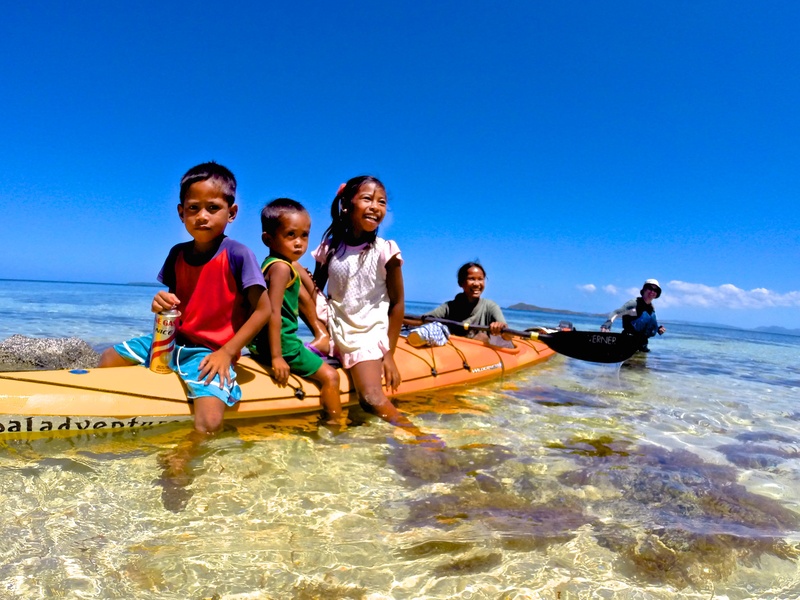 We paddle to one of the larger villages, which has a mobile signal, to call our outfitter, Tribal Adventures. We are assured the typhoon has ebbed to a tropical storm and that it’s safe to continue our voyage. I have become used to the fine layer of sea salt that covers my body and the reek of sweat, pungent in a sweltering kayak. Sand and salt have turned my hair into a wild forest, and my stubbled chin holds globs of day-old sunscreen. Each night we bathe in the sea, lolling in the warm water, bright moonlight making modesty impossible. Voices, singing indistinguishable songs, float across the water from villages that turn dark soon after sunset. The inhabitants have no electricity; a few fires and torches shine and then wink out one by one while we still sit on the sand, eating our dinner. Roosters announce the return of the villages each morning, as the sun slowly creeps above the edge of the sea, rousing us from our tents to pack up and resume our journey through this remote natural wonderland. Calauit Island Game Preserve and Wildlife Sanctuary (calauitisland.com) is a surreal but delightful experience in one of the most remote corners of the Philippines. 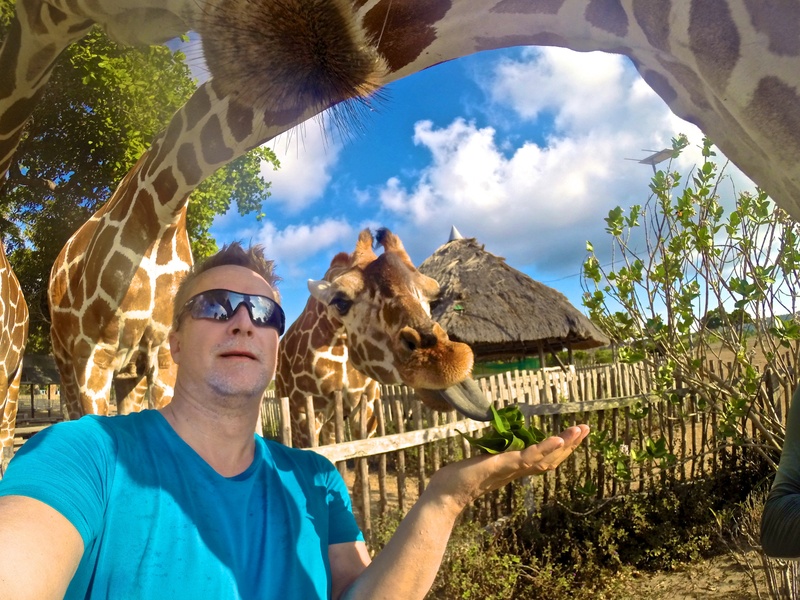 Giraffes and zebras that are thousands of miles from their natural home are free to roam the island, yet tame enough to pet and feed by hand. The 3,700-hectare reserve, off the far northwestern coast of Busuanga Island, was created in 1976 by then Philippine president Ferdinand Marcos as a private playground. Closed to everyone but the Marcos family and visiting dignitaries until the 1980s, the park is now badly in need of funding and professional zoological staff. There is no veterinarian on staff to look after the animals and birds while the cages of some of the more dangerous creatures, such as crocodiles and snakes, are rusting. Many of the park’s outbuildings remain in ruins following Super Typhoon Haiyan, in 2013. Still, that doesn’t take away from the magic of having a giraffe bend its elegant neck and reach out with its long tongue to pull leaves out of your hand, or waking up in the park campsite to see zebras grazing metres from where you lay. 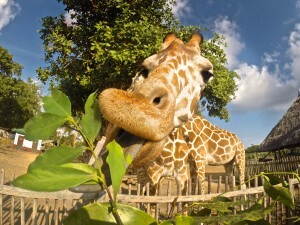 Give your head a shake, you’re still in the Philippines. 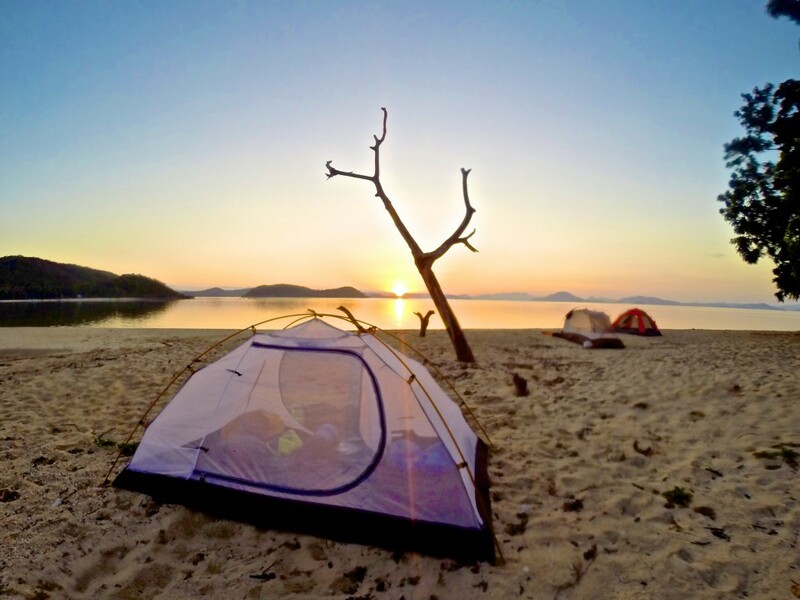 This entry was posted in Photos, Published Articles and tagged adventure, asia, beach, busuanga, camping, coron, kayak, kayaking, ocean, paddle sport, palawan, Philippines, philppines, scmp, sea, snorkle, tribal adventures, water sport by CAMERONDUECK. Bookmark the permalink. Incredible video and story. Scraping the frost off the windshield in Manitoba this morning.